The Århus Sinfonietta are performing my ICP winning work Smash and Grab at the ‘Sounds New’ festival in Canterbury. The concert is being recorded for BBC Radio 3. The concert is taking place at Augustine House in Canterbury at 7.30, you can download the poster here. 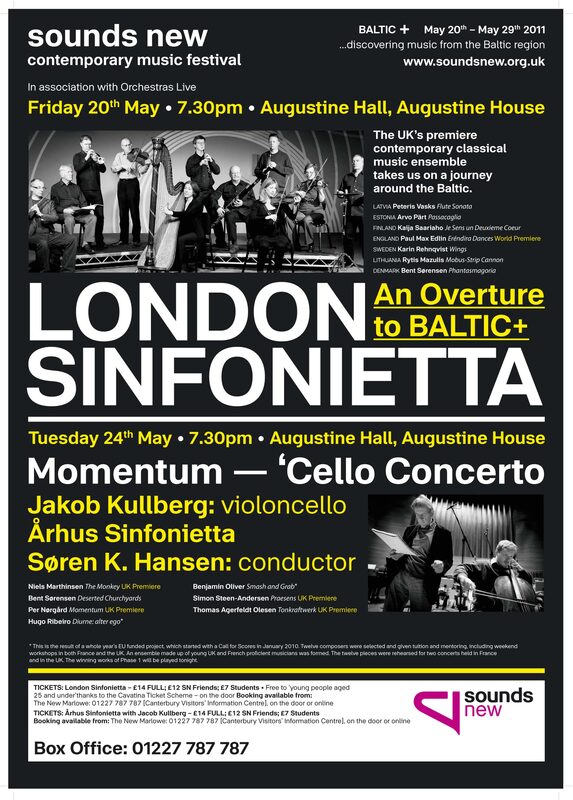 This is an exciting performance for me – I can’t wait to hear what this amazing ensemble do with the work! This entry was posted in Composition, Gigs and tagged Aarhus Sinfonietta, Canterbury, Hear and Now, ICP, Smash and Grab, Sounds New, Violent music on May 10, 2011 by Ben.